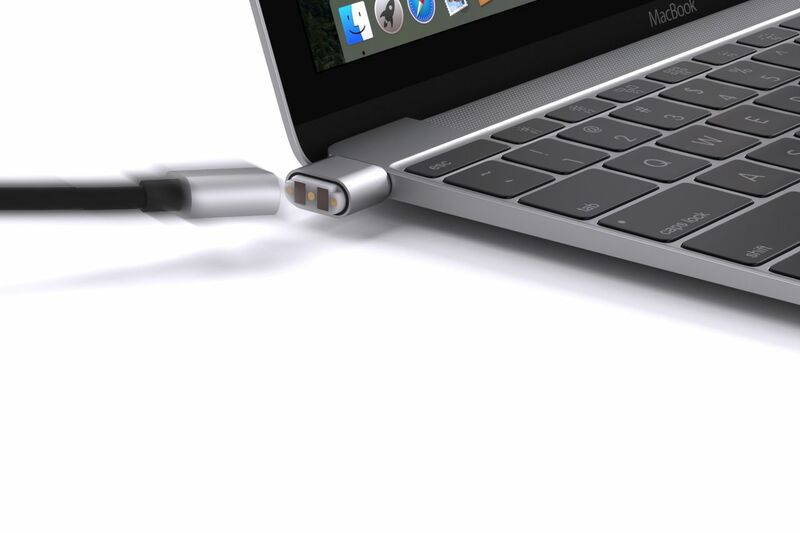 Most of the consternation surrounding the new MacBook has to do with the fact that it has a single port: one USB Type-C connector. Adapters and hubs that work with it have been a little slower to come out than we’d hoped, but at CES this year we’re seeing a few more. But even the ideal hub can’t fix one other problem with that USB-C port: when you trip over the cable, it can send your laptop flying. That is a problem Apple solved a long time ago with its MagSafe adapter, which connects with a magnet and disconnects with just a small tug. Griffin hasn’t created the ideal hub, but it does have a small solution to the second problem, the BreakSafe Magnetic USB-C Power Cable, which does exactly what you’d expect it to. A small plug goes into your computer and then connects up to the rest of the cable via a magnet that’s more likely to get disconnected if you stumble into it. The cable is 6 feet long and has USB-C on the other end. Griffin says that it only sticks out 12.8 mm, so you can leave the adapter in all the time — though if you do, you’re living in a world where the solitary useful port on your computer is spoken for. If that sounds like a world of tradeoffs you like, Griffins say that its new cable will be available in April for $39.99. This entry was posted in MacBiz and tagged Griffin, Magnetic USB-C, MagSafe. Bookmark the permalink.